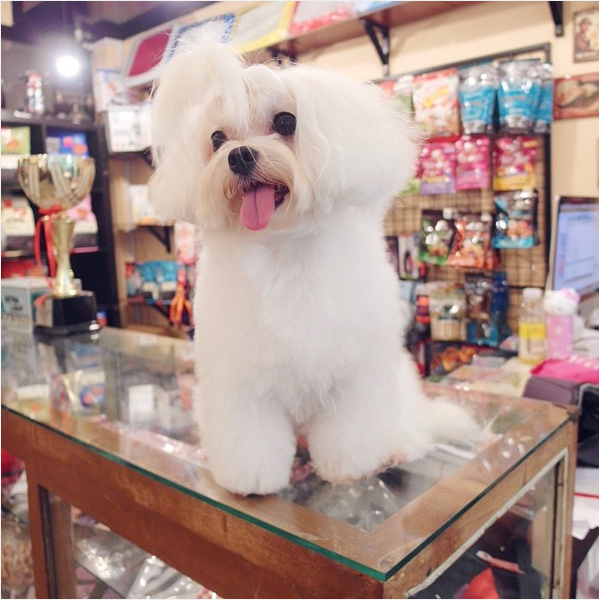 It has been close to 1.5 years since I have been entrusting the grooming of my little pumpkin, Tintin, to the skilled and caring groomers at Pooch Image. If only I have not misplaced my SD card containing photos from one particular period in the past where Tintin was experiencing pretty bad fur-loss at her face due to excessive tearing. Haha if you are wondering, yes, like mother like daughter - I had that period where I had gone from hair loss to significant balding. So the same thing happened to Tintin as well. 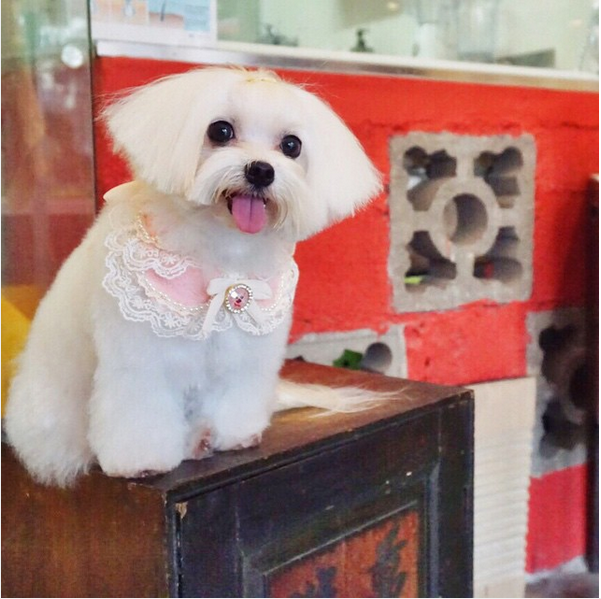 As with every pet parent, I was at a loss and didn't know what I can do and I felt so useless as I saw how her already tiny face was looking less fluffy and smaller by the day due to loss of fur. With the loss of fur, her snout became more pronounced as well. 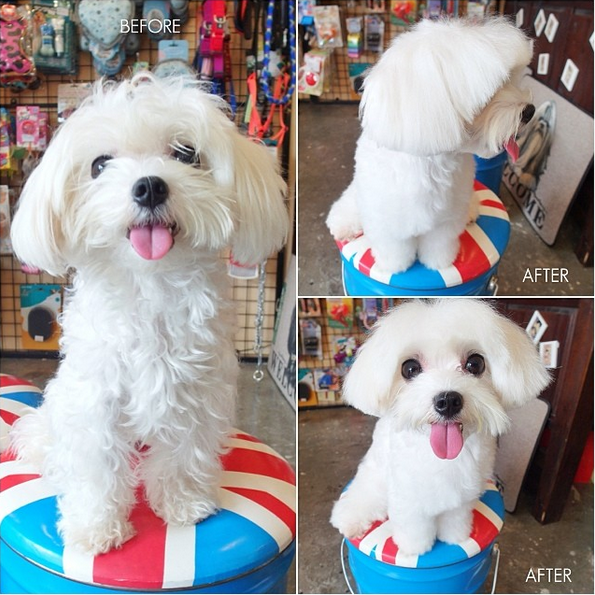 Pooch Image's groomer, Valerie, who had been dedicatedly grooming Tintin for months and she realized with each session, Tintin seemed to come back with a thinner coat of fur and ultimately, sensitive and red skin around her eyes and snout. 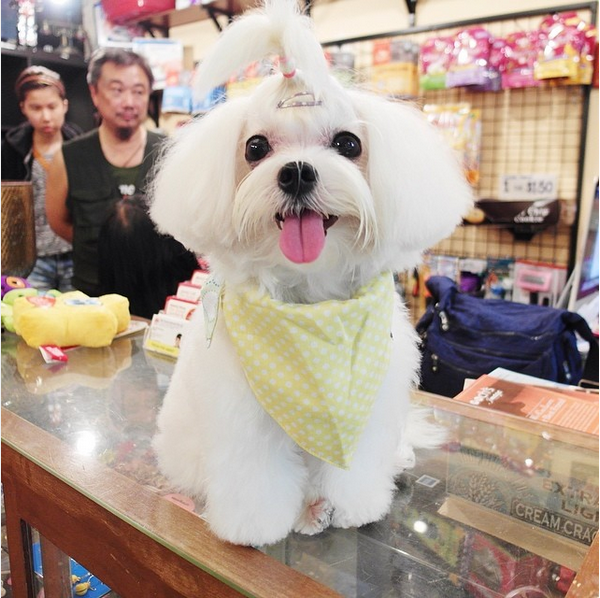 So off Tintin went for the treatment @ Pooch Image also known as the Carboxyl CO2 Spa Treatment where micro bubbles containing carbon dioxide gently reach deep into every pore and cleanse it thoroughly removing dirt and build-up bacteria. 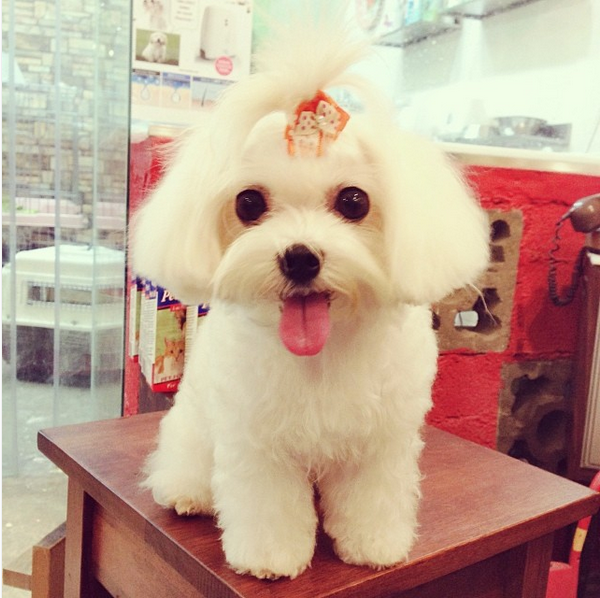 At the same time, the spa provides cooling relief to Tintin’s sensitive skin. After 3-4 months into the treatment spa (a total of 3-4 sessions), Tintin’s skin went from a sensitive red to a healthy pink covered with newly grown fur. This is probably the only treatment I will recommend to all pet owners having seen the improvement in sensitivity of skin in Tintin. 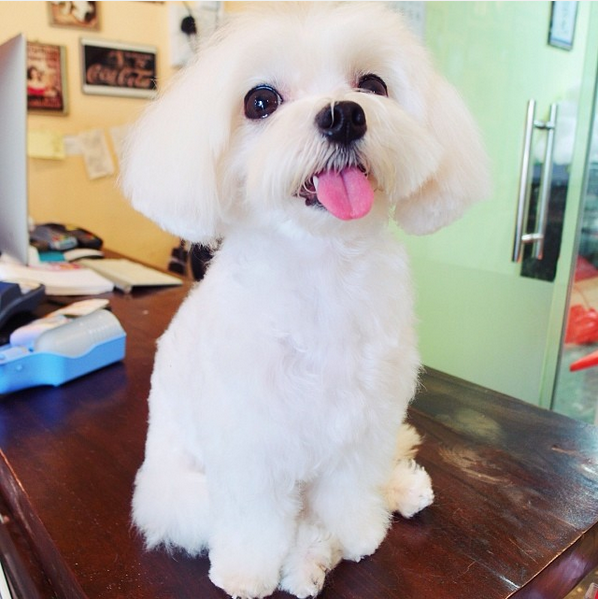 I did so for several pets owners whose malteses are facing the same issue as Tintin. 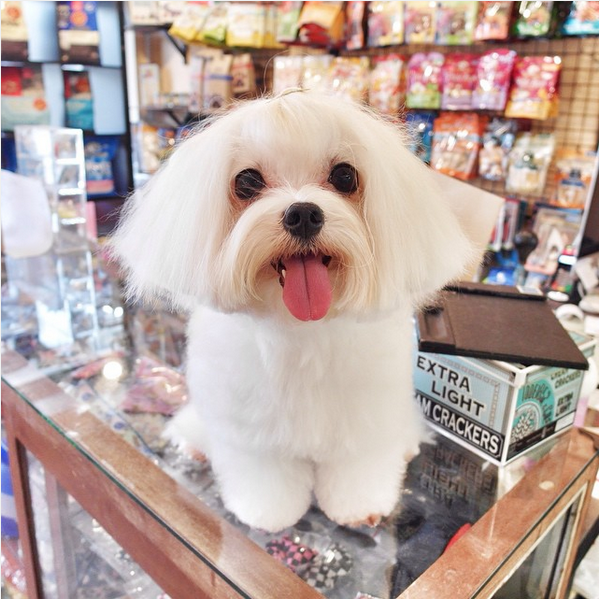 Not sure if it is a “maltese” problem but I am pretty sure the humid weather has something to do with it especially pets with a long furcoat! 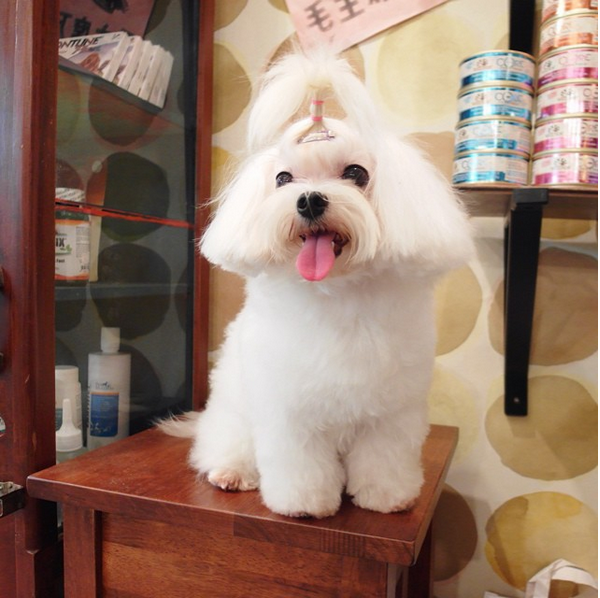 And not forgetting times where Pooch Image groomed Tintin for my shoots and events. 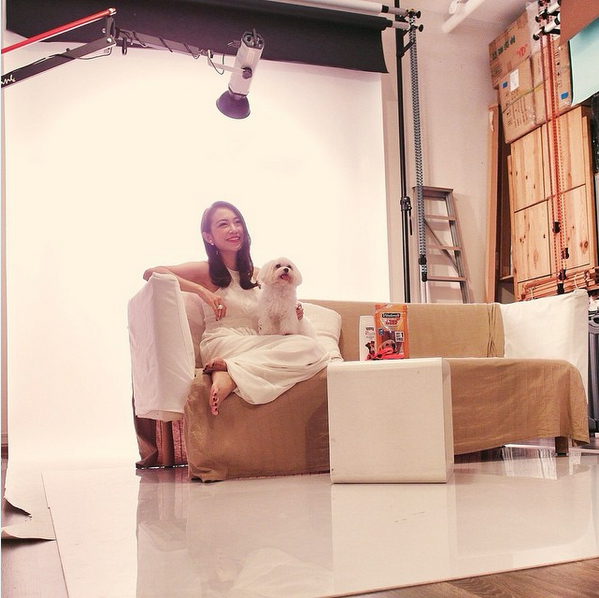 The most memorable being the Clubpets Mag shoot where it was the first time I appeared on the magazine with Tintin :*) She was such a doll throughout the entire shoot! I was so proud of her! 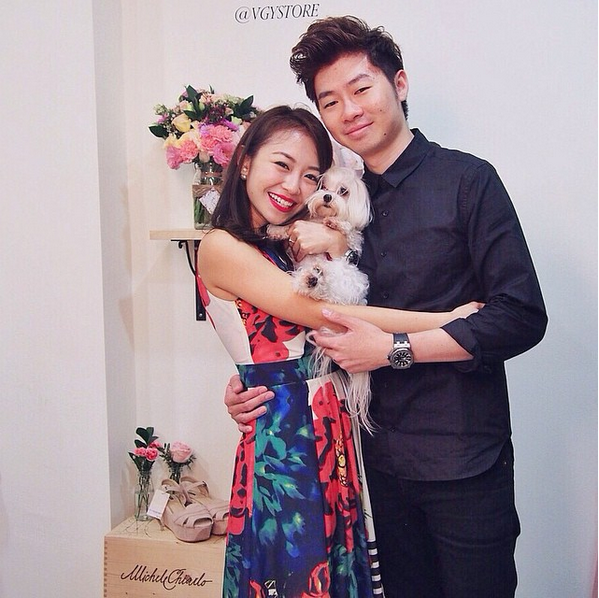 And not forgetting that time where she accompanied me for our styled wedding shoot from 12-8pm :*) Love the cut that Valerie gave her - she looked so fluffy and adorbs in all the frames! See! 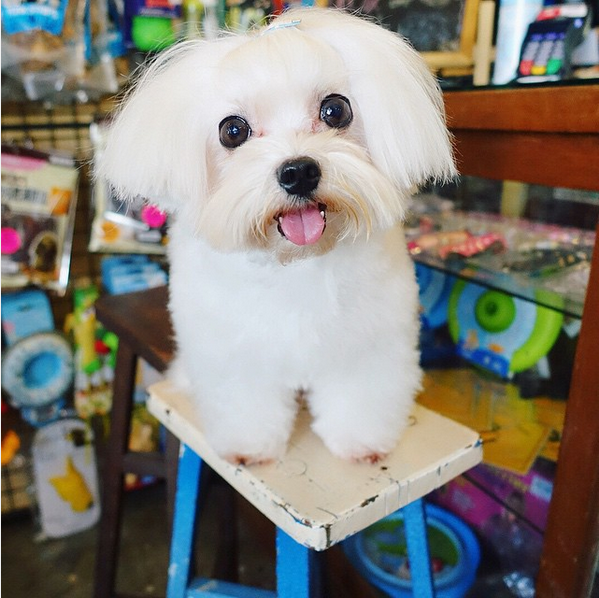 They got her all fluffy white and ready for our shoot!